Towards infinity and beyond! Early May, NASA launched a call for projects to create the future fablab of the International Space Station (ISS) and develop digital fabrication in orbit. 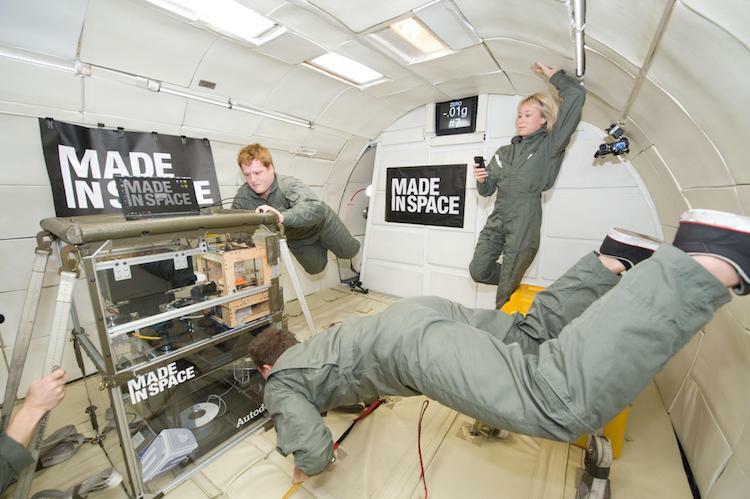 Following successful 3D printing tests in zero gravity as soon as 2016, the American space agency wishes to push the experience further by adapting the rapid prototyping principle to other materials than plastic. “We were already able to assess the interest of fabrication on demand for tools and replacement parts of the space station”, declares Jason Crusan, one of the directors of NASA, in a report. According to him, this space digital fabrication workshop, equipped with 3D printers supplemented by other digital fabrication tools, will need to function in total autonomy, including recycling materials from the station and using raw materials from extraterrestrial deposits. The details of this call for projects were specified during a forum organized by NASA on May 25. The process will take place in three stages. First, NASA is looking for multi-material prototypes, including metal, that can be produced in space. The deadline to submit these first proposals is set for August 2, 2017. After selection, the teams will have eighteen months to supply a functional prototype compatible with the space station. The lucky winners will be able to pursue the adventure during the next two stages of development and maturation of the complete fablab. NASA has already explored many aspects of space digital fabrication, especially surgical tools to provide for certain medical urgencies during long term space missions.